The American starvine typically must grow several years before putting on flowers. Photo by Kyra C. Wu. The delicate blossom of the American starvine (Schisandra glabra). Photo by Kyra C. Wu. The starvine sprouts both leaves and small, colorful blossoms in late spring. Photo by Kyra C. Wu. 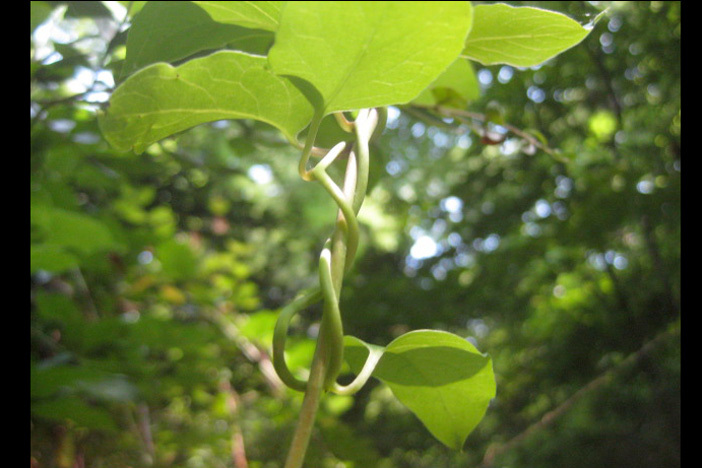 Starvine leaves entwine upon a woody vine, which will climb upward toward the forest canopy. Photo by Kyra C. Wu. A rare sight: Starvine berries are unusual to spot in the urban woodlands. Photo by Kyra C. Wu. Healthy starvine starts that were propagated by patients in the horticultural therapy program at Wesley Woods Hospital. Photo by Kimber Williams. A native starvine that has taken root near a deadfall "nurse log" in Emory's woodlands begins its ascent. Photo by Kimber Williams. Efforts to create a nursery dedicated to the propagation and protection of the rare native starvine plant, which grows wild amid Emory's protected woodlands, will take shape this spring, thanks to Emory College senior Andrew Gonzales. Emory senior Andrew Gonzales presents a $5,200 check to A.G. Rhodes horticultural therapist Kirk Hines to create a vineyard to study the native starvine plant. Last year, Gonzales launched a one-man fundraising campaign to help underwrite the construction of a modest vineyard at Emory devoted to studying the American starvine (Schisandra glabra), a plant with untapped medicinal potential that once thrived across the southeastern United States. As of this semester, he's completed the task, raising $5,200 to help make it happen. It's a success story that starts with a vanishing plant with a deep local history. 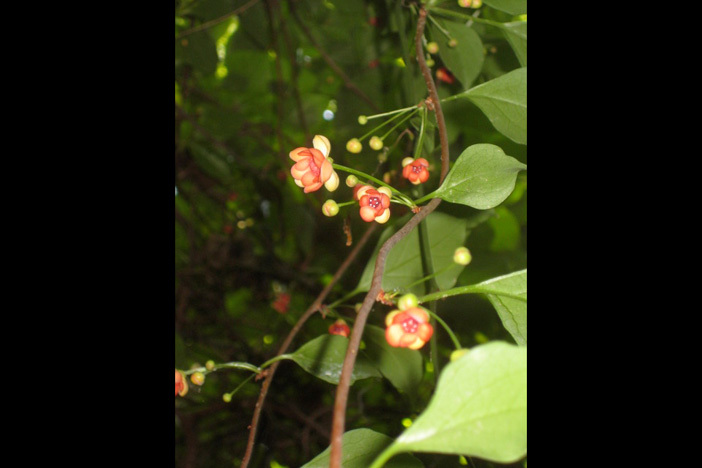 Evidence suggests that Native Americans throughout the Southeast woodlands may have once cultivated the plants for their own medicinal purposes. Today, the American starvine is considered threatened or endangered throughout the region. Patches can still be found in less than two dozens sites — among them, shaded pockets within Emory's old-growth forest preserve, home to one of the region's most robust remaining populations of the plant, notes Emory field biologist Carl Brown, an adjunct professor in environmental sciences. In fact, it was in Brown's classroom that Gonzales first learned about the plight of the American starvine (also called "bay starvine") and its medicinal possibilities; in China, a related strain of starvine is revered as a medicinal botanical, touted for its treatment of fevers, inflammation and liver disorders. 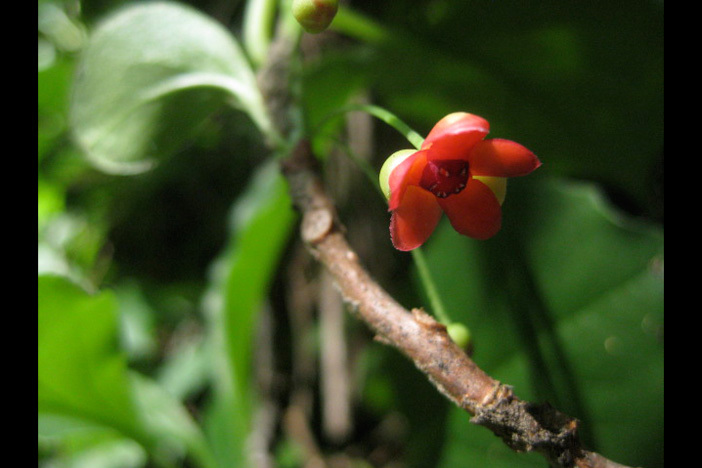 Through that class, Gonzales not only embraced the starvine as a research topic, he was inspired to help create a dedicated site at Emory to study the plant. So Gonzales, an avid gardener, launched a fundraising campaign to do just that, appealing to friends, family and businesses. This spring, he will see the project to fruition, through a partnership between Emory and A.G. Rhodes Health & Rehab, a provider of senior rehabilitation services and long-term care, which leases space on the Wesley Woods campus. The idea for a starvine nursery began with a modest set of plant starts propagated from wild starvine runners, which had been collected from discreet campus locations by Brown and cultivated by Wesley Woods' geriatric hospital patients. Guiding the effort was Kirk Hines, a registered horticultural therapist who founded and directed Wesley Woods' former horticultural therapy program. When the horticultural therapy program was phased out last year due to program changes, Hines was hired by A.G. Rhodes, which operates several Atlanta-area senior rehab centers, including one on the Wesley Woods campus. Original plans called for a small vineyard to be established alongside Wesley Woods' horticultural therapy greenhouses. Updated plans call for the project to become a component of a larger horticultural therapy garden located behind A.G. Rhodes' Wesley Woods facility. "It's incredibly rewarding for our residents in the horticultural therapy program to contribute to the preservation of such a rare and historically significant plant," says Albert Blackwelder, CEO of A.G. Rhodes Health & Rehab. "A.G. Rhodes is proud to be involved in this unique partnership with Emory, and grateful for the money that Andrew raised which gives our residents this meaningful opportunity to help save the starvine," he adds. 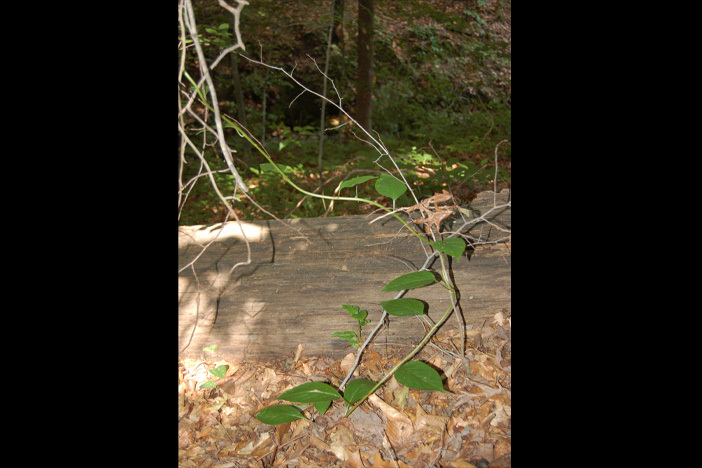 This spring, the starvine plants will be moved to the new vineyard, which abuts Emory's urban woodlands, where the native starvine grows wild. Ongoing cultivation, propagation and daily care of the plants will be conducted through horticultural therapy sessions. "It really worked out beautifully," says Hines. "We knew we wanted to continue the project, and keeping the vineyard on the Wesley Woods campus makes it easily accessible for Emory staff and students to visit and for our collaboration to continue." For the past year, Gonzales continued fundraising efforts. "It was challenging," he says. "A portion of the money came from family and friends. The rest was my own money from a paid internship I had over the summer working in the sustainability department of GE Johnson Construction Company, a national contractor headquartered in Colorado." Plans call for creating a raised bed nursery filled with soil that simulates conditions the plant favors in the wild. "We'll trellis them up and grow them like grape vines," says Gonzales, who hopes to see the project completed by the time he finishes his studies and research in environmental science this spring. "I like the idea of the vineyard being used by future students — an area where you can learn about concepts in the classroom, but also actually go out and see and touch the plants without having to worry about disturbing other plants in the wild," he explains. "Starvine is a sensitive plant," he adds. "When I first started learning about it, I knew that it was endangered, but didn't know why or what could be done. As I took more classes, I had a better understanding of the environmental issues around species conservation and how humans impact their environment, which affects habitat and eco-systems — how this plant fits into the bigger picture." Brown believes there is still much to be learned from native starvine — the chemical and medical potential of its fruit (small berries) for reducing inflammation; what conditions help it grow and thrive; how, or if, it can be grown from seed; and how the plant behaves over the course of its life cycle. Like wild ginseng, which can take seven to ten years to produce berries, starvine can take years to produce fruit in the wild, notes Brown. 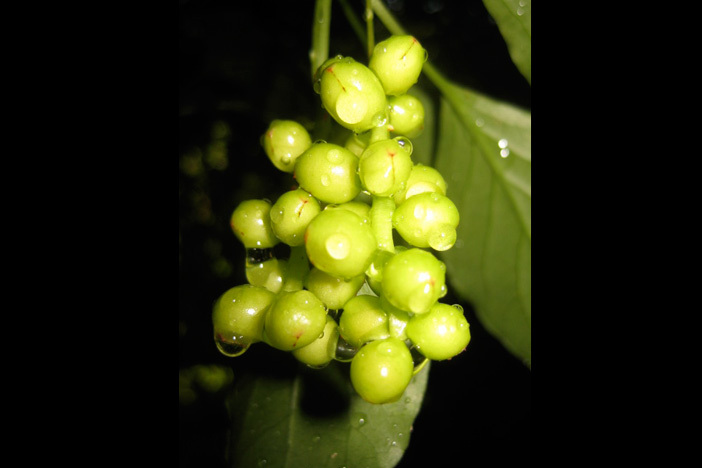 To date, no one knows how long it could take a plant produced from cuttings to yield berries. "We're still trying to find out basic information about this plant," Brown acknowledges. 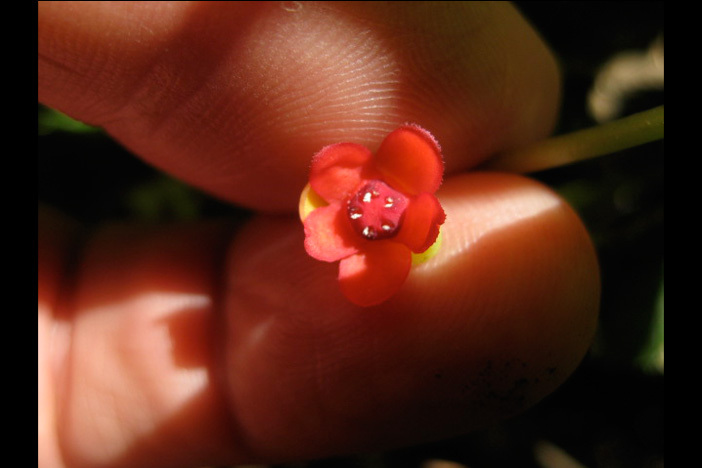 "Few studies have looked at the life cycles starvine. 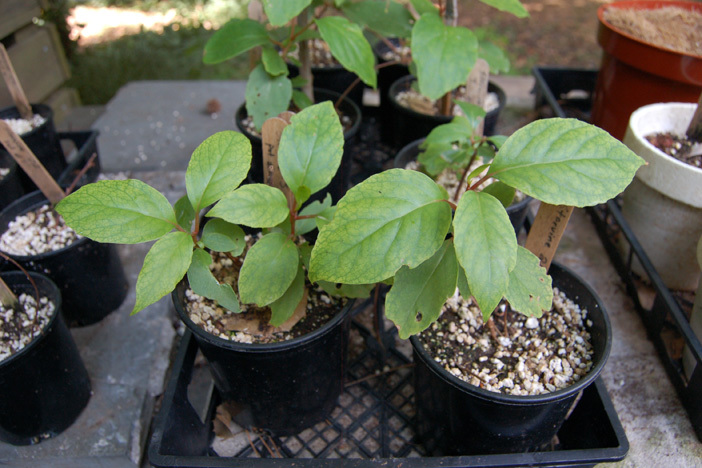 Like ginseng, it may serve as an indicator species when it comes to climate and weather." Emory researchers are already exploring the possibilities. Last spring, ethnobotanist Cassandra Quave, who holds joint appointments as an assistant professor of dermatology in the Emory School of Medicine and the Center for the Study of Human Health, presented a paper at the Society of Ethnobiology conference comparing a phyto-chemical analysis of Chinese and American starvine berries. Among the co-authors were Brown and Stefanie Pierce, academic degree programs coordinator in Emory's Department of Environmental Sciences, who serves as project liaison to Creek/Mvskoke elders, helping to preserve the tribal language and the ecological knowledge it contains. Hear Brown discuss the history and applications of American starvine in the region in a lecture presented to Cassandra Quave's Botanical Medicine and Health course.